A library I made as the beginning of a set of platform independent tools for games developers where I hoped to imply a movement towards more advanced concepts in games. This aims to demonstrate the acquisition and grip of objects of any shape by any imagined limb but also provided a variety of mathematical tools in the process. In an attempt to make it platform independent, I made matrix, vector, OBB (Oriented Bounding Box), AABB (Axis-Aligned Bounding Box) and Sphere classes. 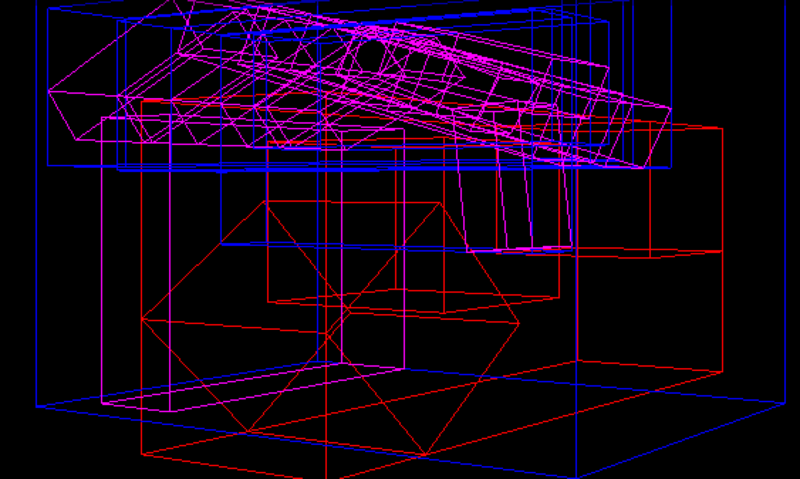 This then also included collision detection between all geometry. Other classes included Limb, Hand, Finger and FingerSegment. The library demonstrates hierarchical animation in the ‘grip’ process and similarly hierarchical collision detection for efficiency and realistic movement and limitation of fingers in their bending. There are still some Windows-specific headers included but they are minor and could quite easily be replaced. TODO: I am in the process of moving to using my templated pooling class to increase the speed of operation and reduce the memory foot print. PLEASE NOTE: The latest build, although functioning, is to be used at your own risk. Solutions demonstrating use of library to simulate human-like hand and object made up of various OBBs visualised using OpenGL. ‘User Manual’ (.PDF) – This is more of a walkthrough of the solution and some of what it demonstrates. 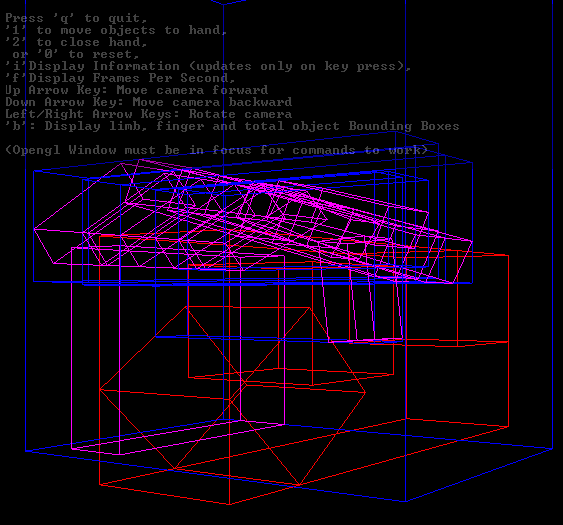 I’ll be adding a DoxyGen-based manual soon with commented source code.